Photography by Love is Rad. Ashley & Kahlil’s Il Mercato wedding was one of the highlights of my 2016. After booking over the phone, we met for the first time on a rainy day walk through at Il Mercato, and later in the year met up for drinks at the Ace Hotel. I got along immediately with these two, but I imagine most people do. They are easily one of the friendliest and nicest couples I have had the pleasure of working with. On their wedding day, they both stayed relaxed and calm, despite the added stress of possibly having to move their ceremony inside due to rain. Thankfully, the rain finally cleared, and it turned into a beautiful September evening—Ashely & Kahlil were able to have their ceremony outdoors in the courtyard followed by a second line around the Garden District. I don’t always tear up at ceremonies but I did at this one, because the ceremony was so genuine, and it was clear how perfect these two are for each other. 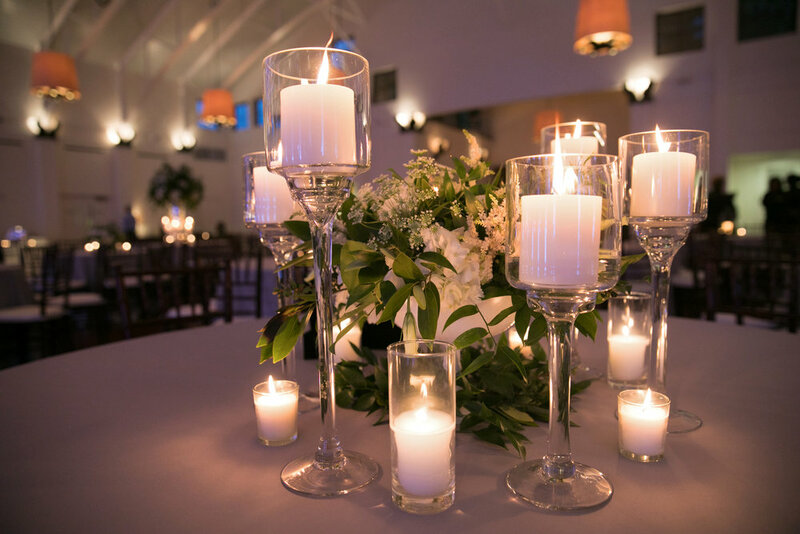 Il Mercato was decorated simply by candlelight with naturally styled white and green flowers by Leaf + Petal Nola. A focal point was the beautiful (and yummy) wedding cake by Sucre. 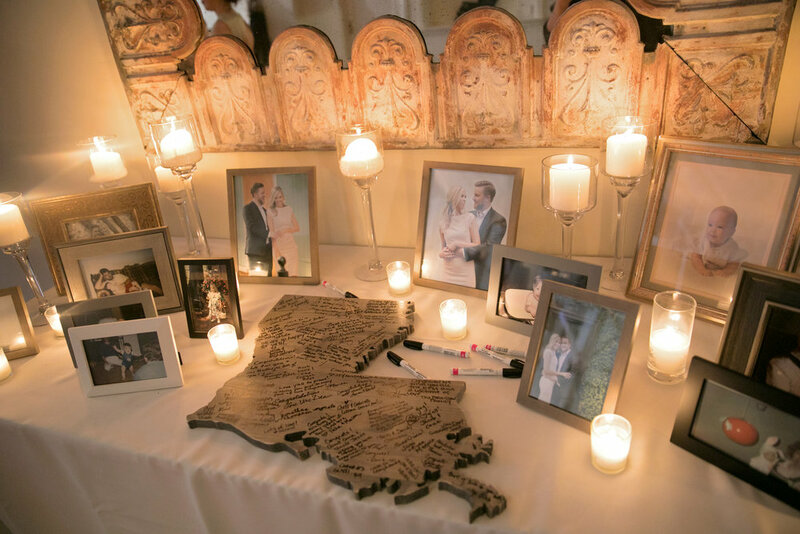 The reception was a blast—the bride and groom were on the dance floor all night long with Geaux Live DJ, along with all of their guests. To me, this is what makes an amazing wedding—a couple so happy to be together and getting married, and a really fun party with all their friends and family! 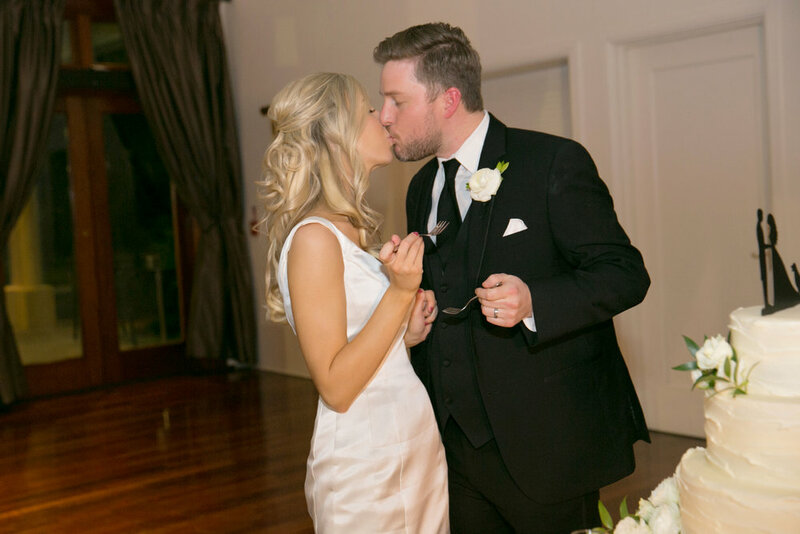 Daniel & Tracy were married on November 21, 2015, at The Ogden Museum of Southern Art. 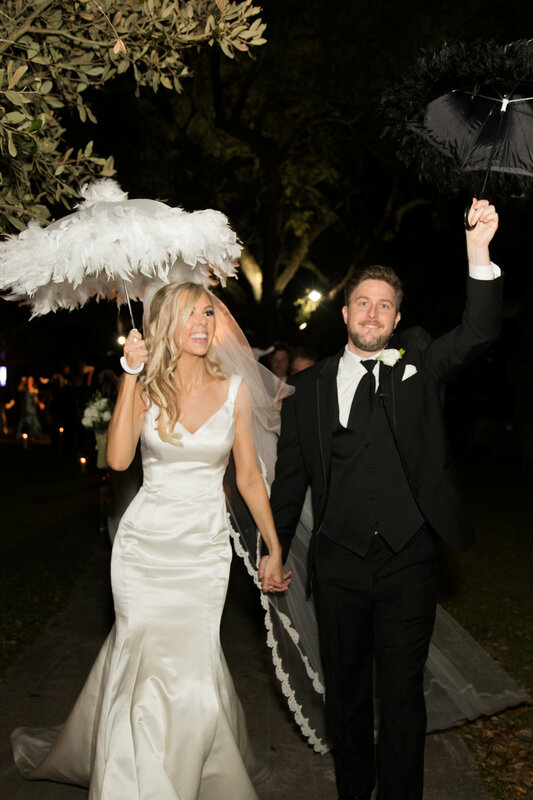 Their wedding was full of classic details, a stunning dress, and a traditional second line send-off. 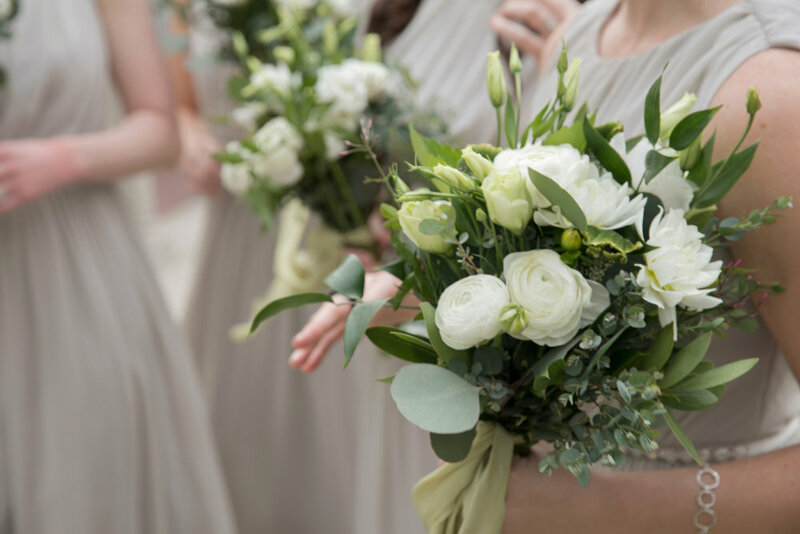 All these gorgeous photos by Ariel Renae Photography will make you wish for a little rainy moodiness on your wedding day!